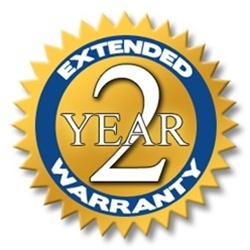 Two-year extended warranty for the KnifeMaster Pro Sharpening System. If at any time during the length of this contract, the machine fails during normal usage, EdgeMasters will replace the machine with a new one. The replacement is for the 1'x30" sander only and does not include the items found in the accessory kit. See Guarantee page for details. Our complete accessories kit includes everything you need to be a master knife sharpener. 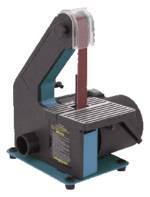 If you already have a 1 x 30 belt sander this will give you everything you need to sharpen like the pros. 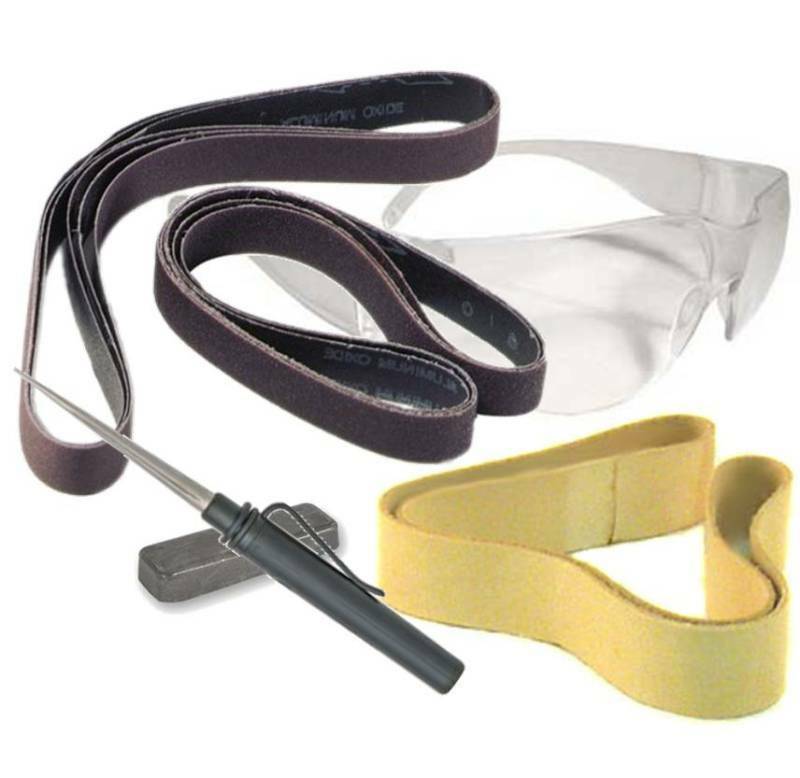 Kit includes 120, 320, 400, 600, 800, 1,000 grit belts, leather stropping belt, stropping compound, diamond serration file and safety glasses. These special made belts come from Germany and are the only sanding belts that EdgeMasters use. 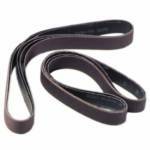 They have a heavy backing to keep the belts from getting rounded and they typically last us hundreds of sharpenings. 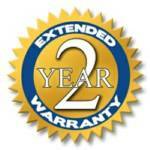 Price includes applicable tax, shipping & handling, and insurance.